After reading books 3 and 4 of Cassandra Clare’s Mortal Instruments series, I was left feeling bored with the publications, the characters, and, felt as if Clare was muddling through the storyline. Books 3 and 4 were the dreaded “bridging books” of the Mortal Instrument Series, and thus, I am now beginning to understand the necessary evil of these types of books in the context of series writing. 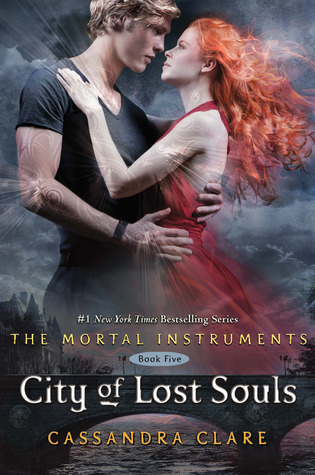 Clare has used books 3 and 4 as a means to set the stage for the bombshell that is Book 5 – City of Lost Souls. The newest release in Clare’s series offers astonishing revelations associated with character depth, storyline shifts, along with fast paced adventure laced with drama. It was with this mastery to weave a complex, yet simple, tale that kept me turning the pages (I plowed through this book on a flight from East coast to West). On every page there was a reason driving me on to the next. Aside from the onslaught of constant action, Clare’s City of Lost Souls illustrates the unseen bonds of unconditional love, the true meaning of family, of death, of loyalty, and of the betrayals that love can force us to commit. Another facet of Clare’s work that I thoroughly enjoyed are the quiet and ever subtle references to her Immortal Devices series, another must read from the author, which details the lives of early Shadowhunters, many of which are direct ancestors to the cast of characters featured in the Mortal Instruments series. On the Pure Textuality scoring spectrum I have the pleasure to announce that I would rate City of Lost Souls as a 4 out of 5 on the grading scale. The conclusion of this manuscript leave the reader on the edge of a precipice, teetering to make sense of the barrage of revelations Clare unleashes on the final pages. I have never truly yearned for the release of another installment of a series until this time. Click here to purchase your audio book!